Gov. 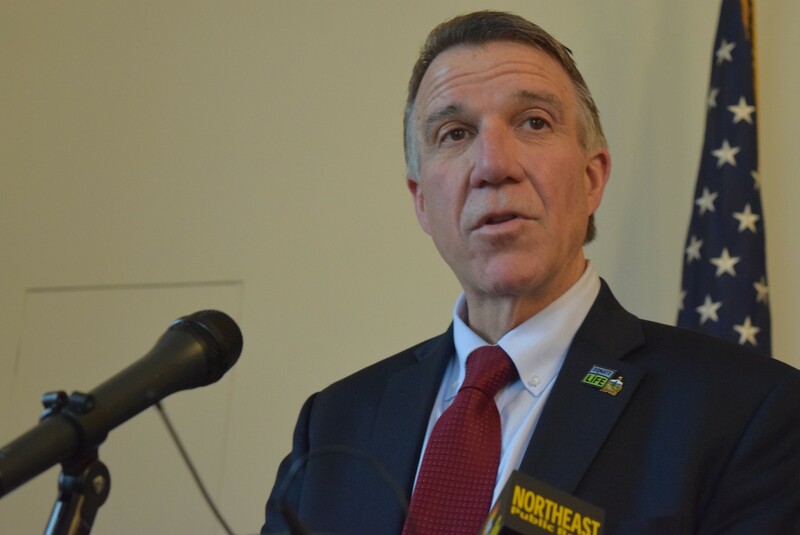 Phil Scott was trying Thursday afternoon, he said, to clarify his position on undocumented immigrants when he proceeded to do exactly the opposite. At his weekly press conference in his ceremonial Statehouse office, Vermont's Republican governor made clear he believed that undocumented immigrants convicted of a crime should be deported. He was less clear about what he meant by the word "crime." The subject came up when WCAX-TV reporter Kyle Midura questioned Scott about public records revealed in this week's Seven Days. The story showed that, in 2016, the Vermont Department of Motor Vehicles regularly shared information with federal immigration enforcement officials about suspected undocumented immigrants. It also described an incident last September when the Vermont State Police arrested a Honduran national for drunk driving and then turned him over to U.S. Immigration and Customs Enforcement. What ensued at the press conference was a surreal display. Scott declined to address the question that was asked — instead providing an answer that ended up confusing himself. “Do you see a distinction between state police reporting someone suspected of drunk driving at more than two times the legal limit to [federal authorities] and someone who is simply applying for a license here in the state?” Midura asked. Three years ago, the state enacted a law allowing undocumented immigrants to legally seek a driver's license without granting the recipient legal immigration status. “Maybe I can clear this up by saying what I think should happen,” Scott replied. “If someone is convicted of a criminal act, a crime, and they are an undocumented immigrant, I think they should be deported." Some driving under the influence convictions are misdemeanors. “If they’re convicted of an egregious crime," Scott replied. Hesitating and realizing he didn't know where he meant to draw the line, he promised to get back to the assembled reporters on what level of crime would warrant deportation. “In my mind, I’m talking about a criminal act of violence, of public safety,” he said. Scott spokeswoman Rebecca Kelley did not provide that clarifying information late Thursday. As tortured as the response was, Scott appears to have said that there is, indeed, a difference between the state's willingness to turn over an undocumented immigrant convicted of driving drunk and one who is applying for a driver’s license. With a simple "yes," he could have avoided offering up an opinion he had not really solidified.